With a focus on the leader's role in initiating and sustaining anti-bias education in programs for young children and their families, this book is both a stand-alone text and a perfect companion for Anti-Bias Education for Young Children and Ourselves. It emphasizes that this work is not only about changing curriculum, but requires thoughtful, strategic, long-term planning that addresses all components of an early childhood program. 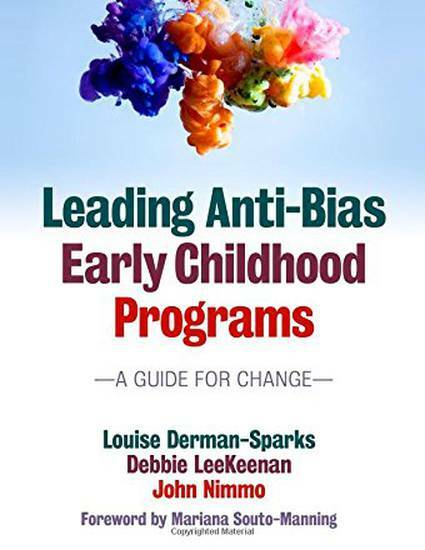 With a powerful combination of conceptual frameworks, strategies, and practical tools, Louise Derman-Sparks, renowned expert on anti-bias education, together with experienced early childhood directors Debbie LeeKeenan and John Nimmo explain the structural and individual changes leaders must foster. Featuring the authors' extensive experience in the field, supplemented with insights from other anti-bias educators, they build on and expand current thinking about best early childhood leadership practices. This is an essential resource for anti-bias education leaders engaged in change in the wide range of early childhood care and education settings.